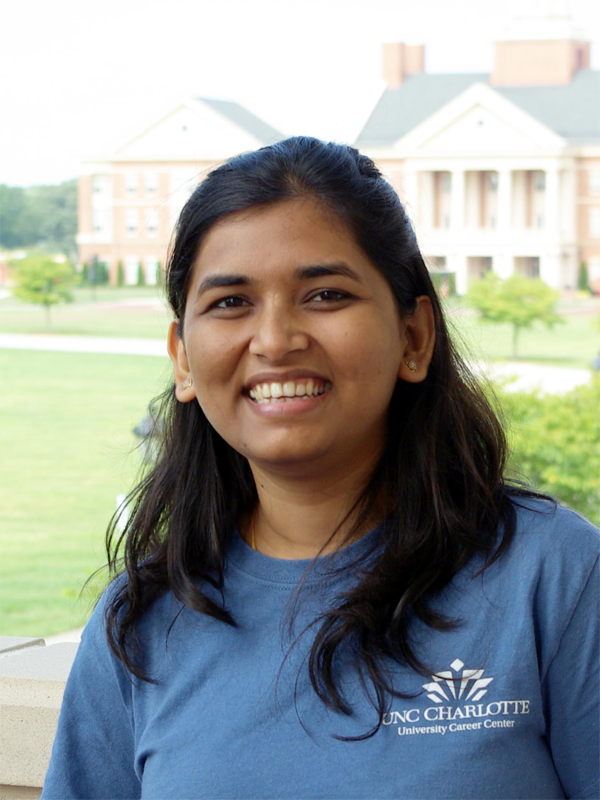 Srishti Tiwari joined the lab in August 2018 during her first semester at UNC Charlotte as a graduate student in the Information Technology Masters program. Srishti received her undergraduate degree in Electronics (B.E.) from Mumbai University. In addition, she holds a PG-Diploma in Advanced Computing from CDAC-ACTS. During her final year project, she worked on a DSP processor for processing analog speech. Following graduation, she worked for several years as a Senior Software Engineer at such companies as MITS Global, BNP Paribas ISPL (on contract with MITS Global), HERE Solutions and SmartStream Technologies. To find out more about Srishti Tiwari’s professional background and experience, visit her page on LinkedIn.